We were honored to host CIMC 2017 (Change in the Making Conference), Western Canada’s biggest marketing and PR conference, and Britney Muller, SEO & Content Architect at MOZ. She gave us a quick rundown of the latest updates in SEO and Search, you can watch the full video here. Here’s what we found out. For digital marketers, business owners, marketing managers, you name it, we have more online data available at our fingertips than ever before and this is an opportunity to be realized via the wonders of Search. And fast! When looking at where Search is today, the first thing to note is that Search Engine Result Page (SERP) features are taking over and are on the rise. Basically, these features show up in the answer box at the top of your search results as both snippets and “People also ask” with corresponding questions and answers underneath. Experiencing incredible growth, these features can be a gold mine of information for you. Links – importantly, links still work well and act as third party credibility factors helping you rank for all sorts of things. Quality content – this is often where the magic happens, assuming you can create quality content that drives engagement and will therefore rank well. 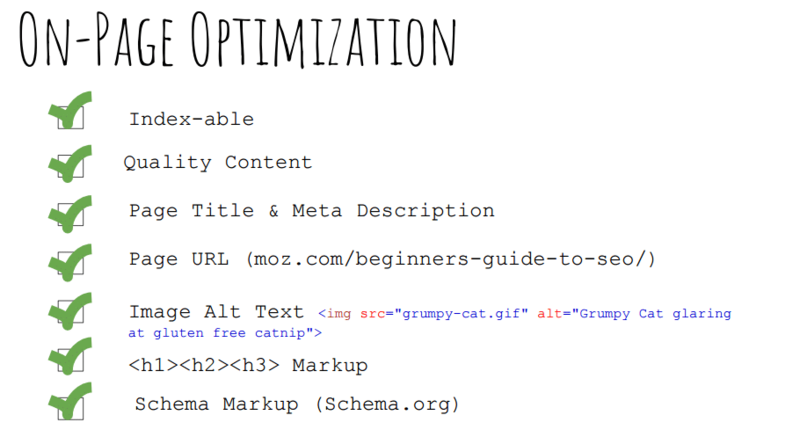 And includes Schema Mark-up, which allows you to spoon-feed search engines key info on what your website is about. Engagement metrics – although Google has never confirmed that this is a ranking factor, it probably is. You want to have people on your site, convert them, have them hang out, and fulfil their user intent. Speed – over 53% of people will abandon a page if it takes more than three seconds to load so this is a key metric to consider on your site. When it comes to the future of Search, what should you be looking out for? For a start, Featured Snippets will continue to develop and become more interactive, particularly around the “People also ask” boxes. An interactive experience like this is key to Google and increasingly important to its ongoing Search strategy. Up next, Voice will continue to improve and become more accessible, pulling from Featured Snippets to give you the information you ask for. However, Voice has yet to figure out two big things – monetization and follow-up questions. Finally, apps will be farewelled and replaced by something better. Because every step you make a user take for an app costs you 20% of those users – so, from app updates to making push notifications for other people, apps are costing you customers – and costing you more to acquire those customers that you do. So, what does the future of apps look like? Well, Progressive Web Apps (PWAS) are here and they are the future! An in-browser app experience, they have the look and feel of an app, can load in a super-fast time, rely on Firebase for custom push notifications, and have bookmarkability for a home screen-like app. What’s more, they are universal across devices, they are linkable, discoverable, and are always fresh, with no need for those pesky time-consuming updates. When it comes to learning how to work smarter, not harder, with SEO, it’s key to flip the customer acquisition funnel on its head. Rather than build a website and then figure out what your customers are looking for or are searching for, instead figure this out first and then build your website around these interests. Keyword data can help reveal where the opportunity gaps are and how to start to build your site around them. 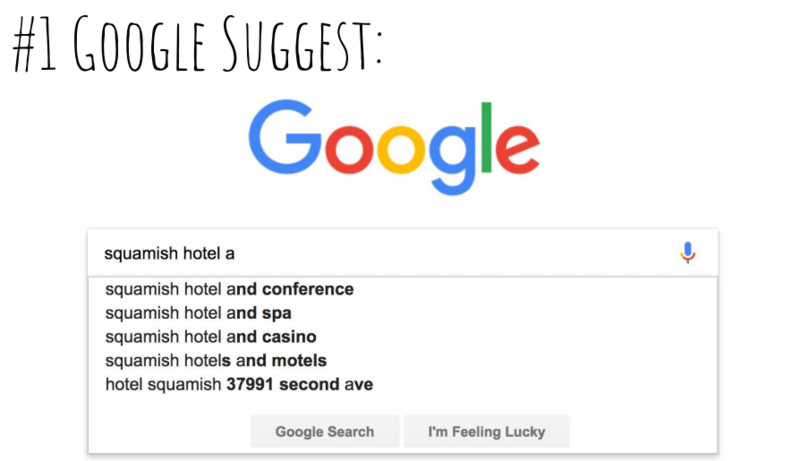 Google Suggest – go to Google, type in your product or service, and see what comes up without hitting ‘enter’; this is Google’s Suggest feature and can be key to figuring out what your customers are searching for. Google Trends – use this to see seasonal trends and what is going on in your universe, again key to understanding what your local audience are interested in. Moz Keyword Explorer – Moz is useful for keyword searches and suggestions, plus filters to find the top FAQs that you can incorporate into your site to do incredible things to your traffic. Google Keyword Planner – this tool can be great for hyper-targeted, regional data, for example, see how many people are searching for “how to move to the United States”, then add in your locations to drill down into those areas for your keyword search results. Competitors’ Top Pages – this is extremely useful if you’re in the retail space and want to see what is trending or is hip right now. We’ve talked about what’s going on with Search today, what the future looks like, and how to work smarter, not harder, to increase your ROI. But what about how to discover and optimize opportunities using SEO? First, it’s vital that you know your industry’s SERP features and find out what is going on with the search engine results page of your industry specialty(ies) using a couple of key tools such as Moz Keyword Explorer or SEMRush. You need to optimize for intent and research that particular SERP feature page. Look at headlines, images, page speed (the user experience), link metrics, and other aspects. Next, compare the findings to your own page that you’re trying to get to rank. Evaluate the differences. Look at the metrics and the things you can immediately control, then make changes where you can. And there you have it… just one way to discover what’s going on and execute your opportunities through SERP. ← WTF Is Native Advertising?